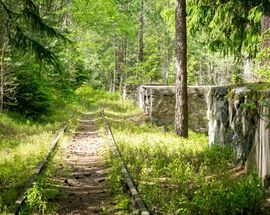 Nature, beaches, military history and most of all mines - the kind that explode - are what Tallinners think of when they talk about Naissaar, an island 11km long and 4km wide just off the Estonian coast in the Gulf of Finland. Naissaar literally mean’s ‘women’s island,’ a name that an 11th-century legend tells us comes from the beautiful maidens who at one time inhabited the island along with a group of hideous, beastly men. Nowadays Naissaar is a nature reserve and a popular day-trip destination for all kinds of travellers, beauties, beasts or otherwise. 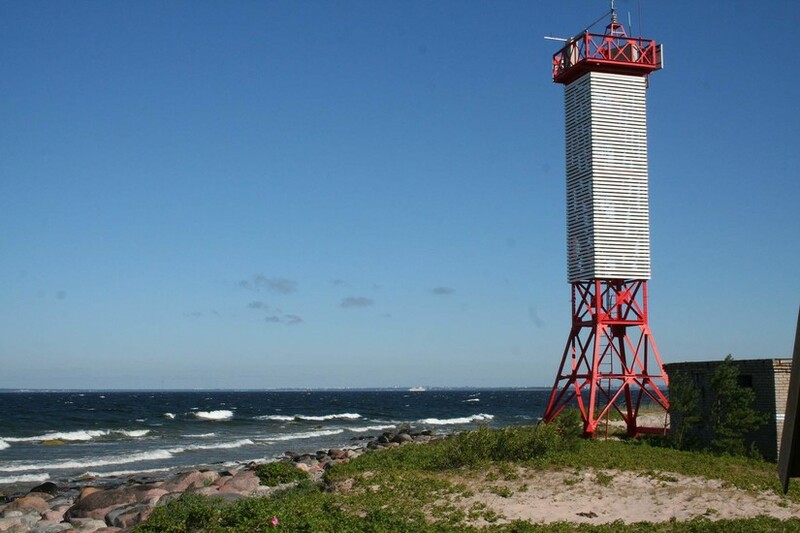 The island’s military history goes back to 1730, when it was evacuated the first time to make way for a naval fortress to protect Russia’s interests in the Baltic Sea. Tsarist Russia became interested in Naissaar again in the time leading up to World War I. 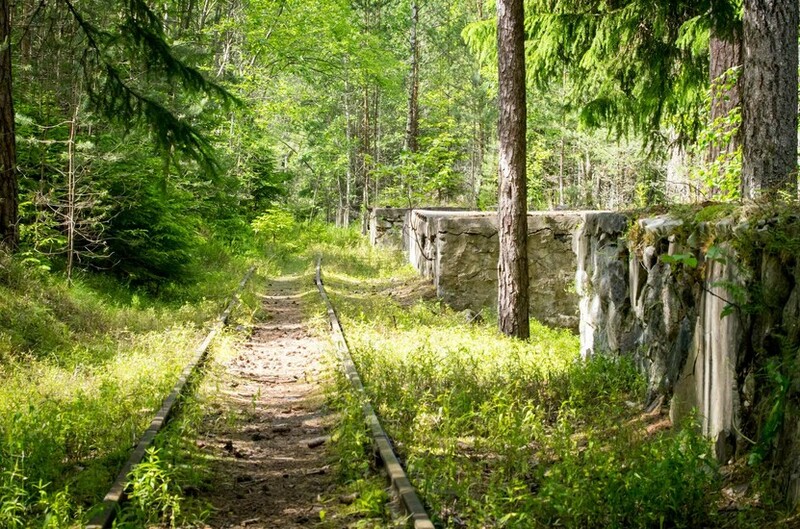 In 1912 they built the port and installed the narrow-gauge rail lines that still crisscross the island. 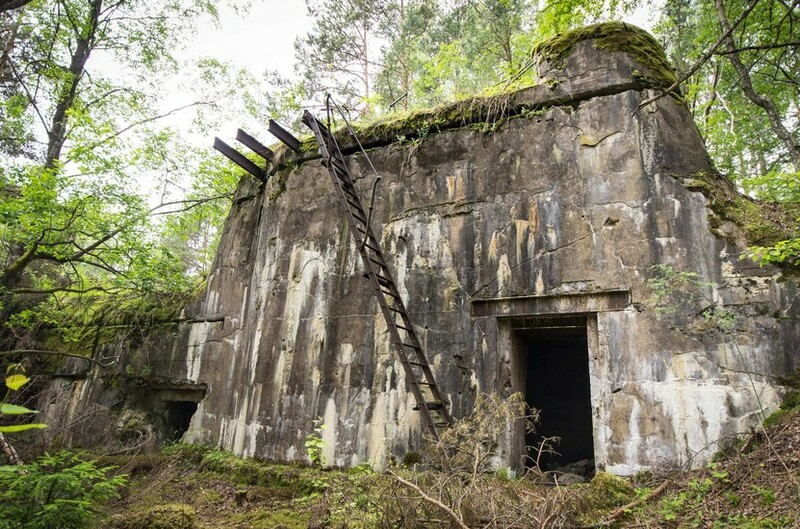 But when the Russian army retreated in 1918, they exploded the bunkers they had built, along with the island’s church and some other structures. 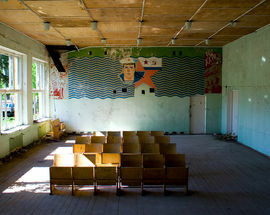 Inhabitants returned during Estonia’s period of independence, and in 1934, the population had grown to about 450. 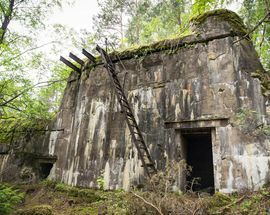 Again though, war took its toll, and the end of World War II saw the island as a closed, military base with one purpose - the manufacture of sea mines, the casings of which litter the island to this day. 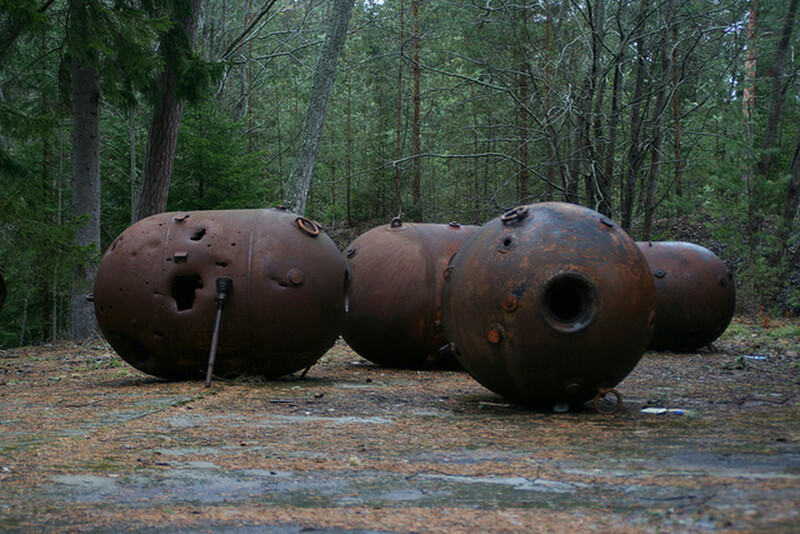 After Estonia regained independence it was in fact land mines, not sea mines, that presented the bigger danger. 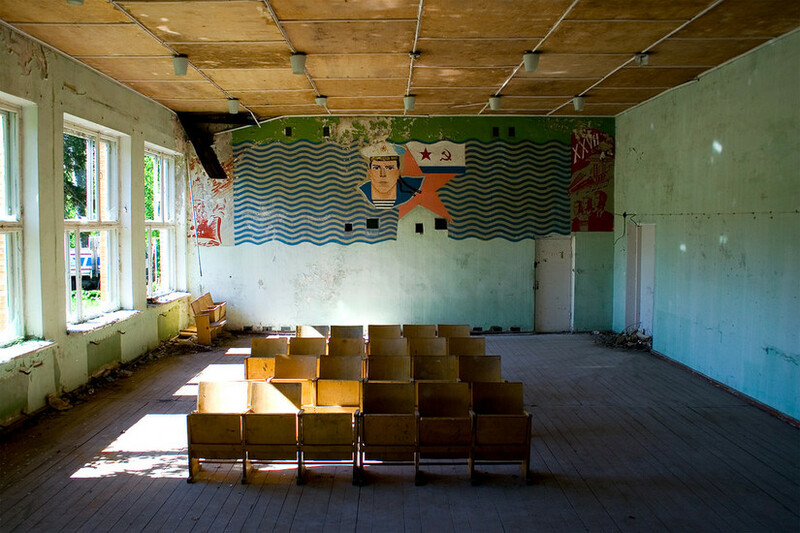 Whereas in the 1990s the departing Russian army was good at ensuring the sea mines it left were benign, the same wasn’t true of land mines that littered the island’s forests after munitions dumps were exploded in both world wars. Before the island was opened to tourists in 1998, de-mining operations removed over 5000 of the potentially lethal devices, and those are by no means all of them (see below). Only six families now have houses on the island, and only two of these live here year-round. The island has been a nature preserve since 1995, and strict rules must be observed. 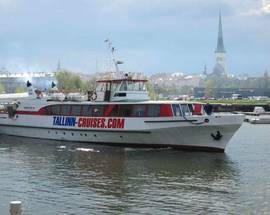 Tallinn-Cruises offers two daily trips to Naissaar island (tel. 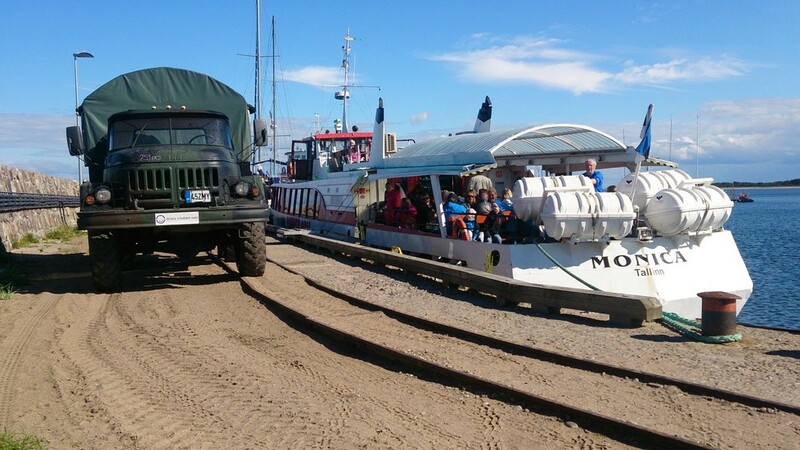 (+372) 514 51 18, www.tallinn-cruises.com/naissaar), and is probably the best way to get to and from Naissaar. The ride takes just over an hour and the boat runs through the end of August - it can continue into September, depending on the weather. Please note however that it doesn’t run daily. Trips are made by the 'Monica', 'Elina' or 'Mõnu' ships from Kalasadam port. See website for schedule and prices. 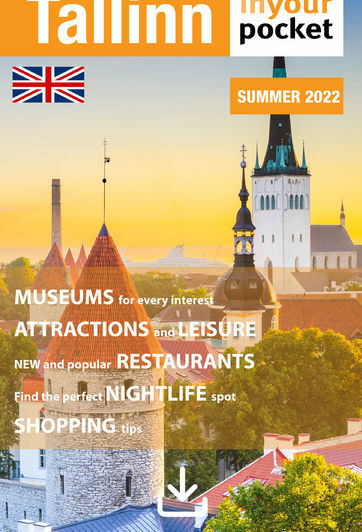 Book tickets in advance at info@tallinn-cruises.com. The island is fairly large, and many people prefer to be driven around in groups by tour companies. 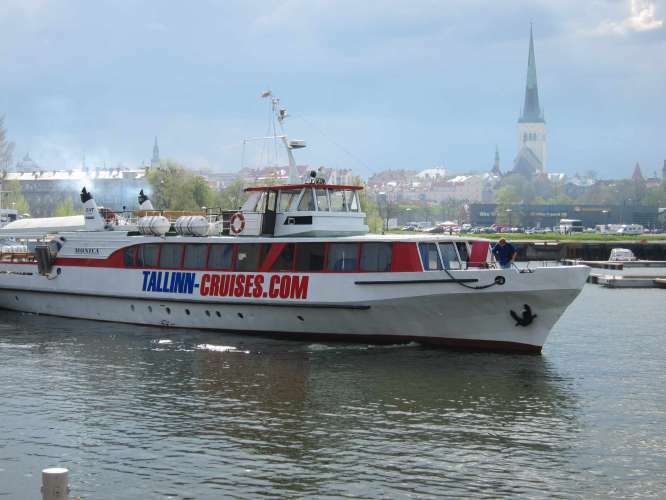 Tallinn-Cruises (tel. 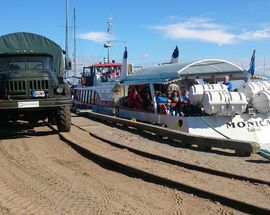 (+372) 514 51 18, www.tallinn-cruises.com/naissaar) has two revamped Soviet army trucks that carry its clients around the island. Individual travellers, who get around by foot or bicycle, should head straight for the Nature Park Centre, up the hill from the dock. Here there’s coffee, trail maps and info, as well as the required registration. Be sure to leave enough time to make your boat back! As mentioned above, the sea mines already on the island have been deactivated, but every year at least one live mine washes up on Naissaar’s shore. If you see a suspicious mine on the beach, don’t bang on it, ride it like a horse or use it for a football goal. Get someone to call 112, who will call the bomb squad. Many landmines that flew into the forest when munitions dumps were destroyed during the world wars are still out there to this day. Campers are asked to stick to designated areas so their campfires don’t set off any of the lingering devices. More info about Naissaar www.naissaarele.ee. Museum: www.rannarahvamuuseum.ee, tel. (+372) 606 69 41. Museum is open 24h from May to Sept. and you get a free entry with Monica bookings. Two different trails will take you past various Naissaar sights. Nature and beaches In summer the big pink blossoms of Rosa Rugosa can be seen all over the island. Animals to look out for are deer, fox, rabbits, sea eagles, moose and one remaining wild pig. Sandy dune beaches on southern and eastern shores are said to be better than those on the mainland. Lighthouses Naissaar has two lighthouses, one on the northern and one on the eastern shore. 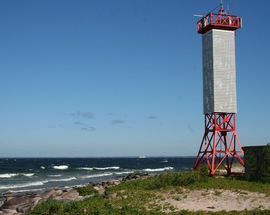 The 8-sided northern lighthouse, built in the 1960’s and revamped in 2000-2001, is 45m tall and provides a great view. 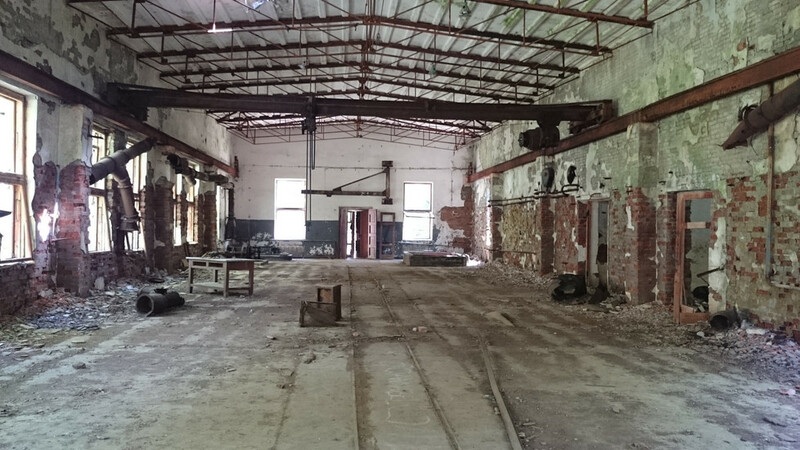 Mine factory The building where mines were constructed to fill orders all over the Soviet Union is still intact. 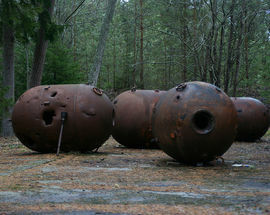 Empty mine casings piled outside make an interesting photo. 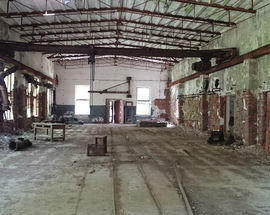 Check out the small pool inside where flotation was tested. Fairy Village Now something like a ghost town, the small collection of white painted buildings once housed Soviet military personnel. The largest building was an officers’ club and casino. Bunker 10B Retreating Russian soldiers blew up their concrete bunkers in 1918, but the Estonians managed to partially fix one up in the 1930s. Remnants of a 305mm canon battery can still be seen. Bring a flashlight if you want to explore the inside.